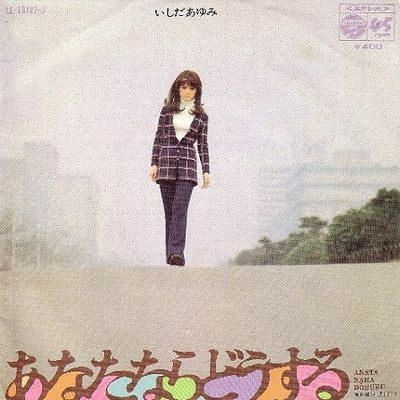 Ayumi Ishida (いしだ あゆみ) is a japanese singer and actress. She was born March 26, 1948 in Sasebo, Nagasaki, Japan and raised in Ikeda (Osaka). She seems to have started her singing career in 1964 at the young age of 16. 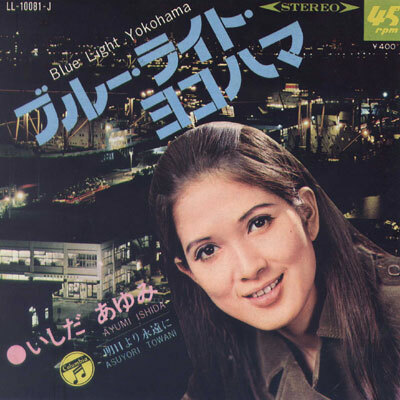 Ayumi recorded 23 singles with the label Victor between 1964-1967 and although she had some popularity with great songs like “Shadow of Love”, it wasn’t until she left Victor and started recording with Columbia that she found super stardom with popular hit like “Blue Light Yokohama” (which topped the charts in 1968/1969 at #1), “Anata Nara Dousuru”, and “Sabaku No You Na Tokyo De”. Since 1986 she has been focusing on her acting carreer. Her last movie (Eclair: Okashi Hourouki) directed by Akio Kondo was released in 2011.